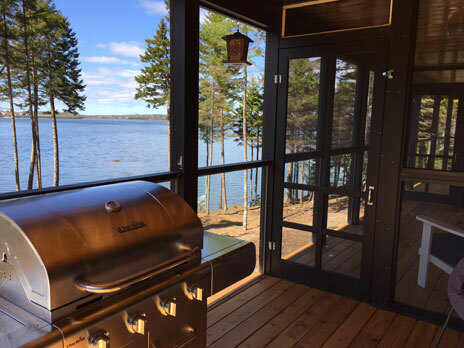 A wonderful, brand new cottage, Eagles Nest Seaside,lovingly being built by the owner, is situated on a spectacular 3 acre private wooded lot. 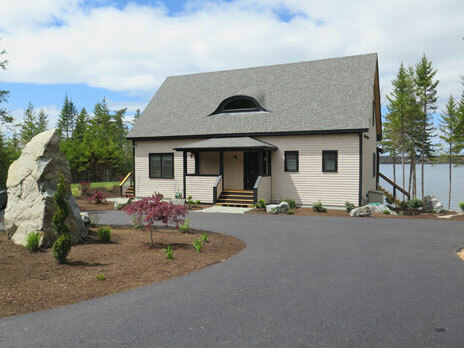 Located on a private road out of the downtown Bar Harbor area, Eagles Nest Seaside enjoys 500 feet of private shorefront! 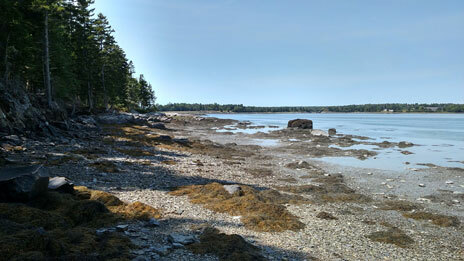 There are ledges and rocks and beachy terrain during most of the tide cycle. Looking out on Thomas Bay, the property enjoys lovely sunsets! Kayaking is terrific in the Bay. And most importantly this property features a bald eagles nest in one of its trees. 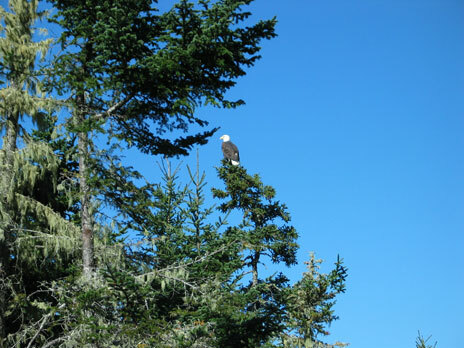 Daily sitings of eagles is not uncommon. This is nature at its best! A wonderful family retreat, there are three levels of living space. The main level features the living room, dining area, kitchen, master king bedroom with private bath, and a half bathroom. The upstairs/2nd level features two king bedrooms, each with a private bath. The lower level, which opens out to the yard and views the ocean, has one bedroom with 4 twin beds (daybed with pop-up trundle bed, and bunk bed with two twins). The recreation room area features a pool table and foosball game, as well as a treadmill and elliptical machine. There will also be a queen sleep sofa in the rec room. There is a full bathroom on this level. 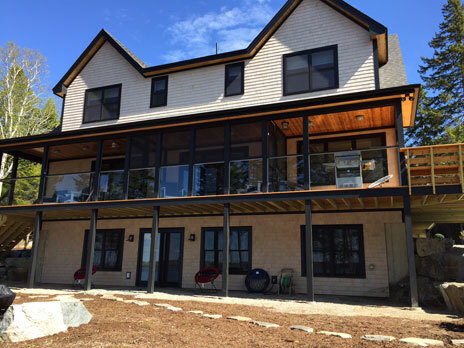 Outside, there is a large wraparound deck with lovely ocean view! The yard is rustic and wooded. There are stairs going down to the shore, too. Sunbathe, kayak, swim, picnic and search for seaglass and sea shells on your private shore! Amenities include cable TV, dishwasher, washer/dryer, A/C units in bedrooms, billiards, foosball, arcade system with over 100 games, elliptical machine, WIFI, BBQ and a bluetooth speaker system throughout the house! Click here for more complete list of household items/amenities. Downtown Bar Harbor is about 15 minutes away. You can also catch the free Island Explorer bus (when operating) at the end of the road. The main entrance to Acadia National Park is just 12 minutes away. 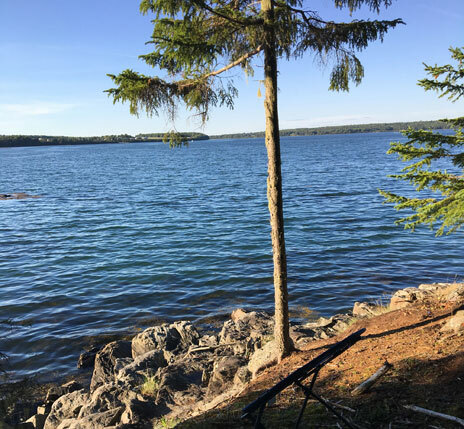 Enjoy hiking, biking, kayaing, golf, tennis, boating, nature walks, beaching, deep sea fishing, whale watching, museums, shopping and, of course, terrific dining choices. And don't forget: the best lobster comes from here!